Spray rendering is quicker than traditional rendering solutions and provides a durable quality finish, which costs less and causes fewer disruptions to projects. Our rendering, plastering and other professional services are available for both external and internal projects. We work with commercial clients as well as private homeowners. 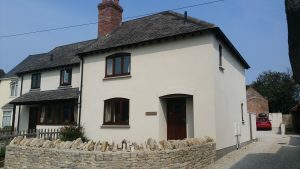 Project Spray Render is an established spray rendering and plastering company, which provides low cost spray rendering services throughout Southern England. Craig originally learnt and mastered spray rendering in Germany where the service is used extensively throughout the domestic, commercial and industrial sectors of the construction industry. After returning to England, Craig set up Project Spray Render and it has rapidly established a strong reputation for providing superior, quick rendering services that can be relied upon for years and years.